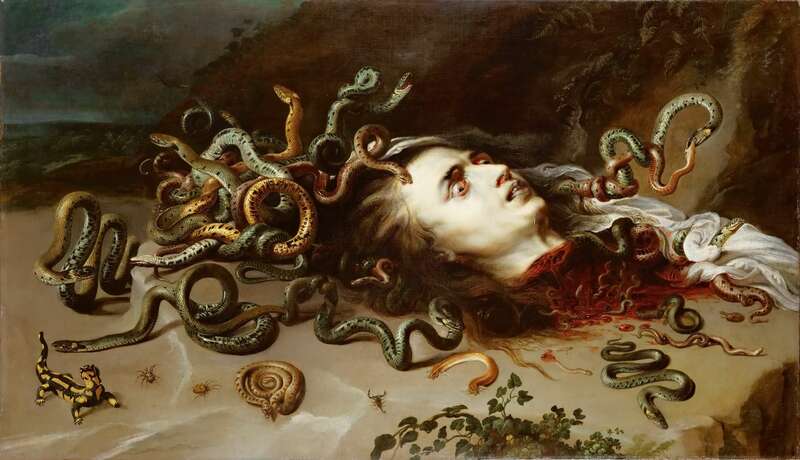 We recently found out that Gehenna was actually a place in Jerusalem that is known because there were made child sacrifices in there, we also read that probably was a area where the outcasts and infected were dumped or maybe just where the garbage were burnt. Anyway our first idea is related to the Jewish and Christian analogy of a lake of fire or Hades/hell, a place of punishment called Gehenna. 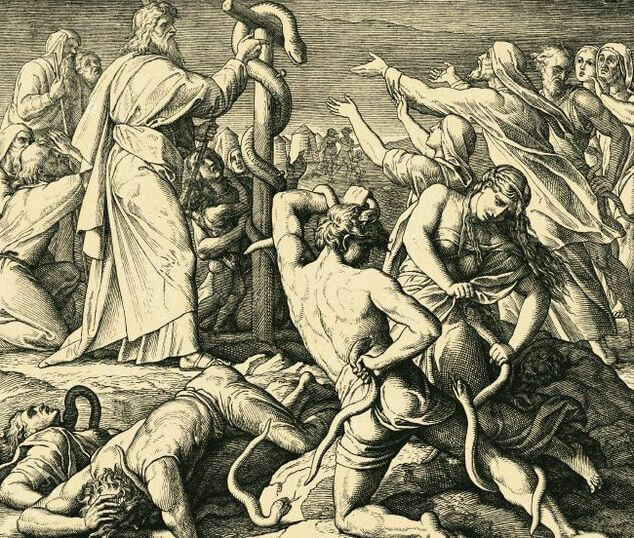 It is curious that the word Hell wasn’t in the Bible until the King James version (XVII century), Gehenna was the original word used. 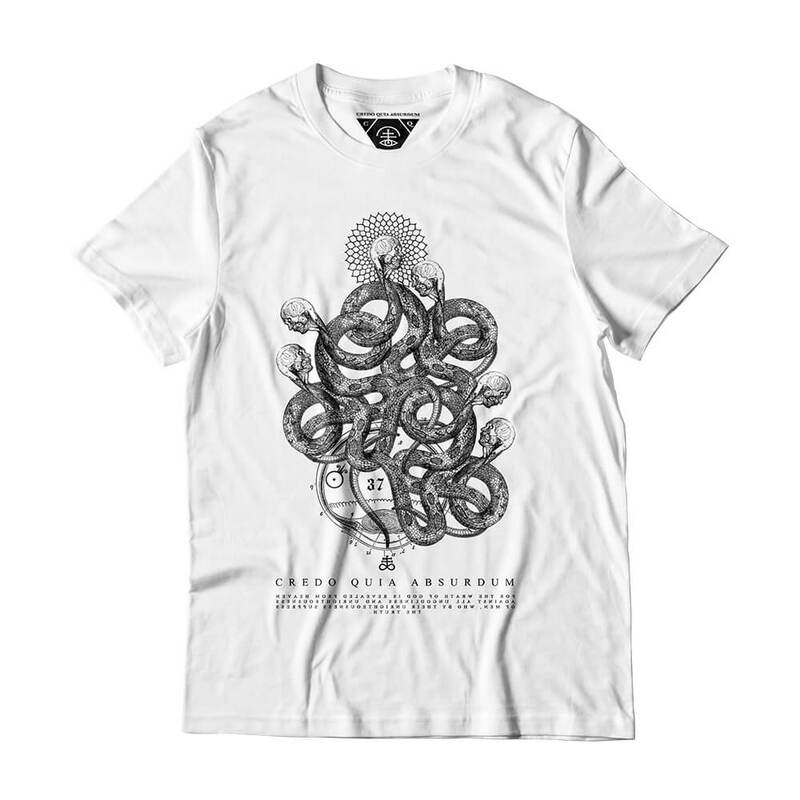 Like we said before, probably was an analogy to a horrifying and stinky place. 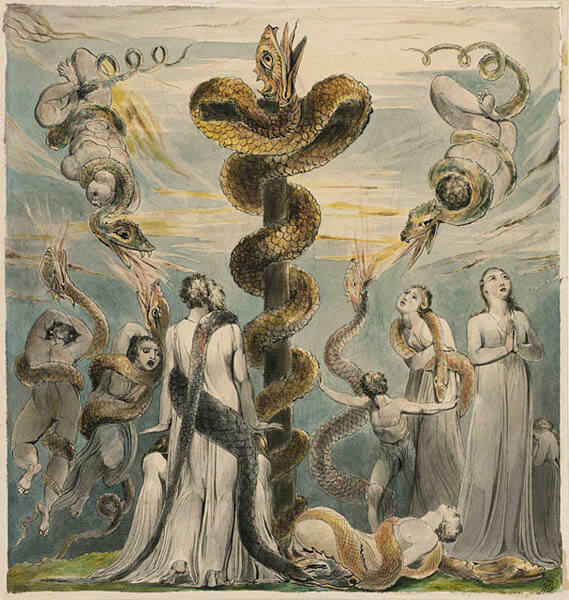 This design shows the souls of the condemned struggling to reach the heaven, theirs bodies are snake-like as we see described in some parts of Divine Comedy, they are cursed to crawl for all eternity and that was their punishment. 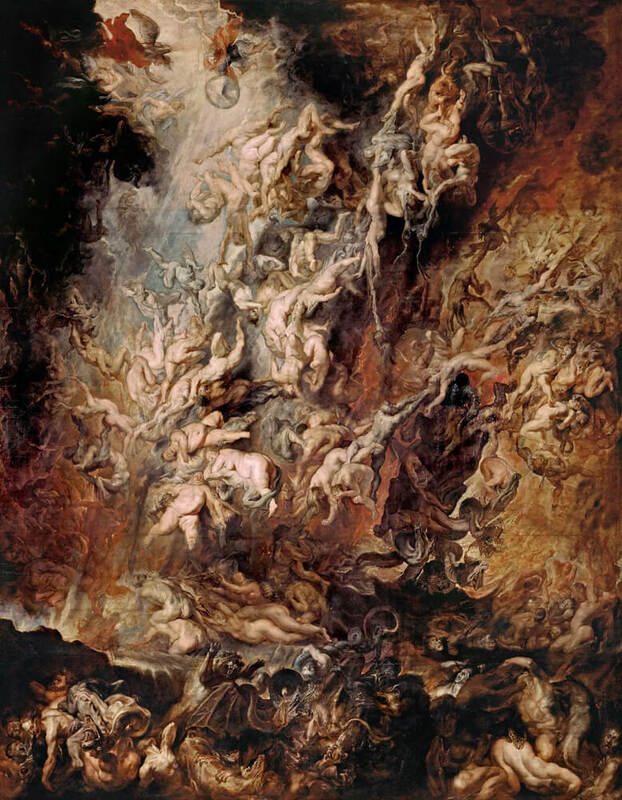 “Fall of the Damned”- Peter Paul Rubens, first half of 17th century. 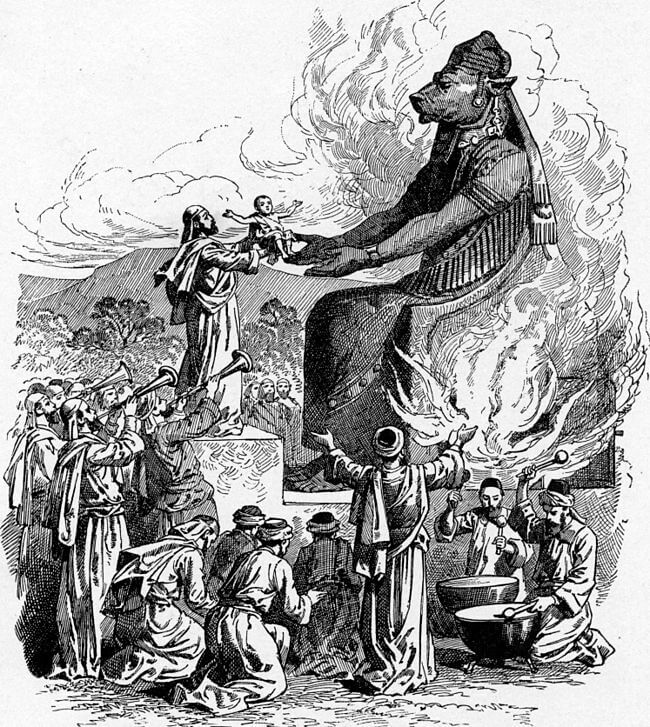 “Offering to Molech” from: Bible Pictures and What They Teach Us by Charles Foster, 1897. drawing by F.B. Schell. 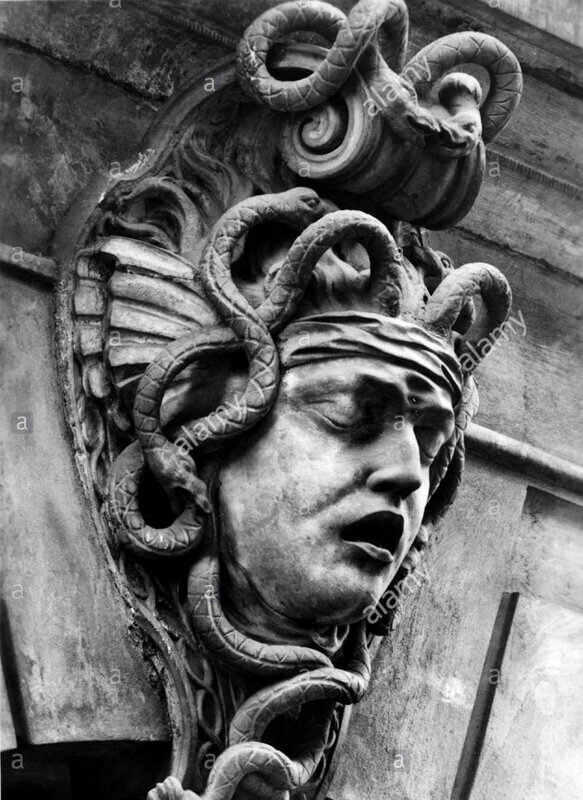 “Medusa” - stone at Northern side of Museum of German History, Berlin- Andreas Schlüter, 1696. photo by INTERFOTO / Personalities. 2003. 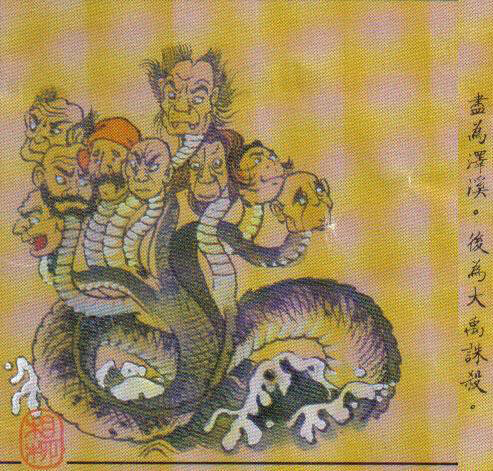 “Xiangliu” from Shan Hai Jing (Classic of Mountains and Seas) - Chapter of Gods. Versions of the text have existed since the 4th century BC. “Last Judgement” triptych (hell) detail- Hans Memling, c. late 1460s. 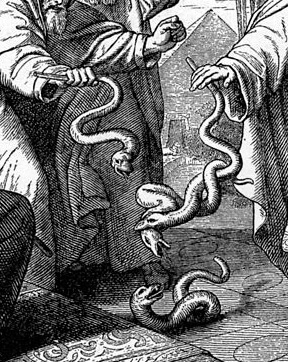 “Aaron's Rod Changed into a Serpent” detail - from: Bible Pictures and What They Teach Us- Charles Foster, 1897.